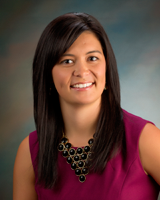 Dr. Jenna Hatfield is a 2005 Norfolk High School graduate who went on to earn a Bachelor of Science degree from the University of South Dakota. In 2014, she graduated from the University of Nebraska Medical Center College of Dentistry in Lincoln with a doctorate of dental surgery. While in dental school, Dr. Hatfield was active in the American Student Dental Association (ASDA), holding leadership positions at the local and national levels. She served as the ASDA District 8 Trustee from 2012 to 2013, was a student delegate to the American Dental Association (ADA) House of Delegates in 2013, and in 2014 was a student adviser on the ADA’s New Dentist Committee. Along with her ADA membership, Dr. Hatfield is a member of the Nebraska Dental Association (NDA), the Academy of General Dentistry (AGD), the American Association of Women Dentists (AAWD), the American Dental Political Action Committee (ADPAC), the North District Dental Society, the Sioux City Dental Society, and she represents northeast Nebraska on the NDA’s New Dentist Committee as well as their Board of Trustees. Within the community, Dr. Hatfield is the Treasurer of Kiwanis Emerging Leaders of Norfolk and likes to attend several of the events put on by the Norfolk Area Chamber of Commerce. She also serves on the Norfolk Public Schools Foundation Board as Vice-President, Norfolk's Women Embracing Business Board of Directors as a Committee Chair and speaks to new moms about proper dental care for mom and baby at Faith Regional's breastfeeding support group. Socializing is one of her favorite hobbies. Dr. Hatfield and her husband, Dirk Waite, enjoy spending time with their daughter, Clara, and their two dogs, Suki and Cash. In their free time they like to play or watch sports, and enjoy the outdoors. They are both very excited to have returned to Norfolk and look forward to finding ways to become more active in the community.